This Nicaraguan rum has a very rich mouthfeel, which contains ﬂavors of oak, tobacco and natural vanilla. The Single Estate Rums from Cane Island are sourced from one single distillery from a few of the most iconic rum countries in the Caribbean like Barbados, The Dominican Republic, Trinidad and Nicaragua. Each one of these islands has a long history in rum production with their own styles and traditions. All rums from Cane Island reflect the true rum characteristics and identity of the island. The rum in this bottle is distilled at a distillery that cannot be disclosed in Nicaragua. Every single drop of this fine Nicaragua rum has spent the full 12 years in the barrel – no reflling of barrels and no ”Solera” ageing, but a pure and honest 12 years old rum. 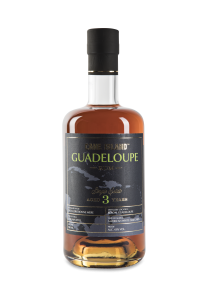 This rum has a very rich mouthfeel, which contains ﬂavors of oak, tobacco and natural vanilla. It has a long and smooth aftertaste. 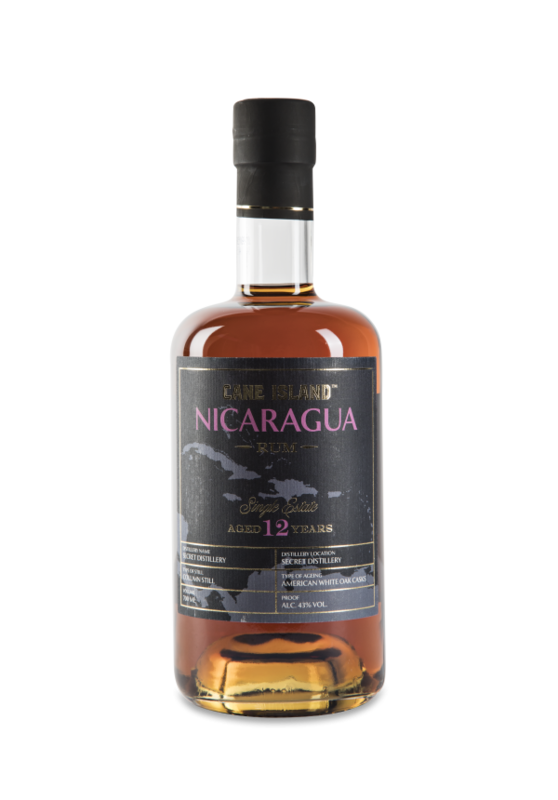 This Nicaraguan rum delivers what you expect from a real and honest 12 year’s old rum. Rum is one of the most diverse and historic spirits in the world. There is no other distillate, which is produced and aged in so many different countries around the globe. Each rum-producing country has its own history, uniqueness and special traditions when it comes to rum making. The mission of Cane Island Rum is to let you discover the beauty the rum world has to offer. The rum selection of Cane Island Rum consists of three Single Origin Blends and three Single Estate Rums. The Single Origins Blends are blends of rum coming from different distilleries from one country. The Single Estate Rums are sourced from one single distillery. Cane Island Rum currently offers rum from a few of the most iconic rum countries: Barbados, Cuba, Jamaica, The Dominican Republic and Trinidad. Each one of these islands has a long history in rum production, with their own styles and traditions. All rums reflect the true rum characteristics and identity of the island. Rum is one the most diverse and historic spirits in the world. There is no other distillate which is produced and aged in so many different countries around the globe. Each rum-producing country has its own history, uniqueness and special traditions when it comes to rum making. All rums in their portfolio have been tropically aged for several years in wooden casks. Tropical ageing is three times more intense than ageing in colder climates, because the heat of the Caribbean intensifies the interaction between the rum and the wood. This authentic ageing process results in beautiful aged rums. 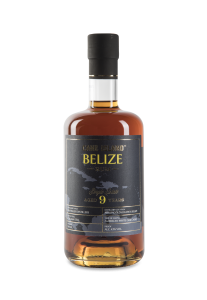 Cane Island Rum offers an authentic range of rums from selected Caribbean islands. All rums truly represent the style and tradition of the origins and distilleries.